We’re very happy to announce that we'll have our very own Le Guess Who? Beer for sale at the festival this year. In collaboration with one of Utrecht’s finest microbreweries, De Kromme Haring, we made an extremely fresh Session IPA. Well actually, Gijs en Stephen from De Kromme Haring made it, since beer-brewing isn't really our cup of tea. The Le Guess Who? 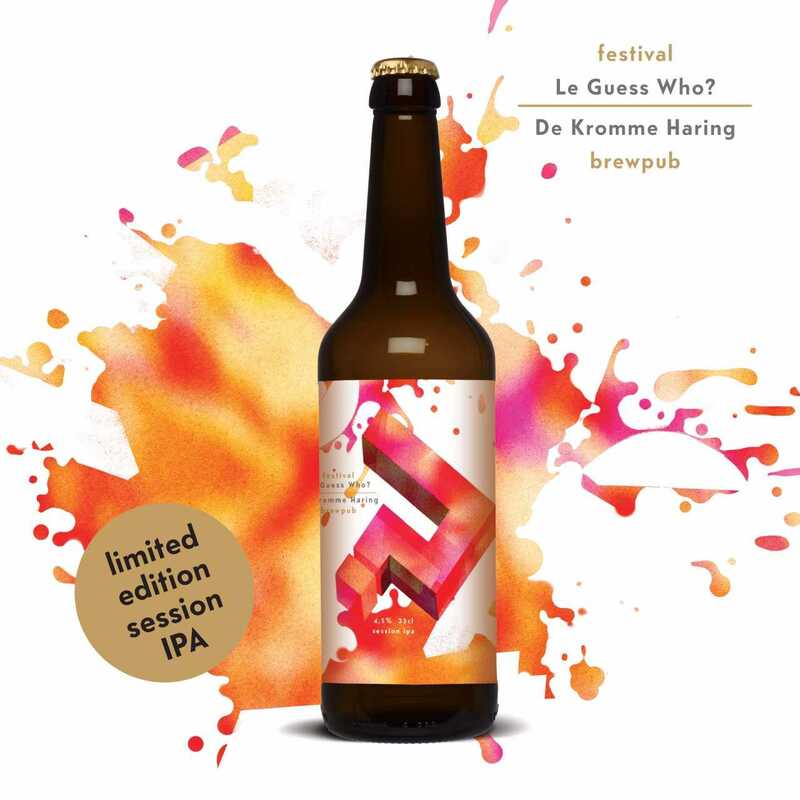 x De Kromme Haring is a Session IPA with a soft, fruity yet very aromatic taste. The amarillo and citrus hop make it a slightly bitter beer, with a fruity tone of grapefruit and pine. The beer will be bottled just a week before the festival, so it will taste the best during the festival. Try it at our market Le Bazarre or at one of the (festival) locations listed below. "We brewed this session IPA especially for Le Guess Who? 2017. We wanted the beer to be as fresh and exciting as the music, so we bottled it just days before the festival takes over the great city of Utrecht. De Kromme Haring brew on a very small scale, and have the freedom to experiment with a wide range of radical and new flavors. Their brewpub is a true hidden gem in Utrecht. Besides a great collection of their own beers, it is a very vivid place with concerts and music events. Drop by their brewpub (Europaplein 2C) to hop on the groove.